Today, I played some ladder. 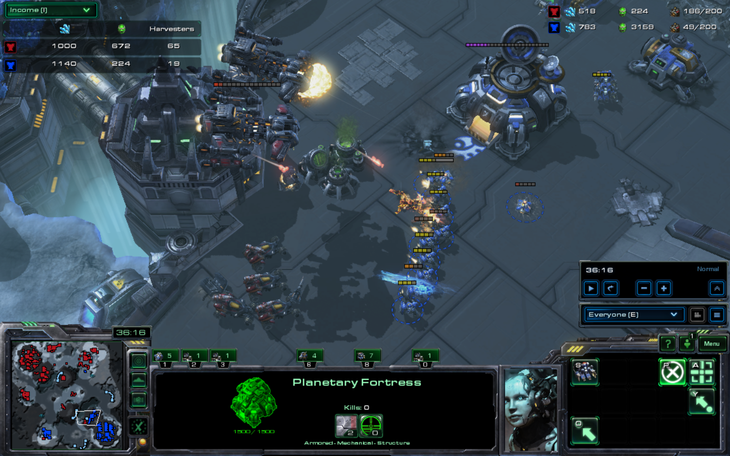 At first, I wanted to play random, but a TvP reminded me of my insecurities in the early game as terran. 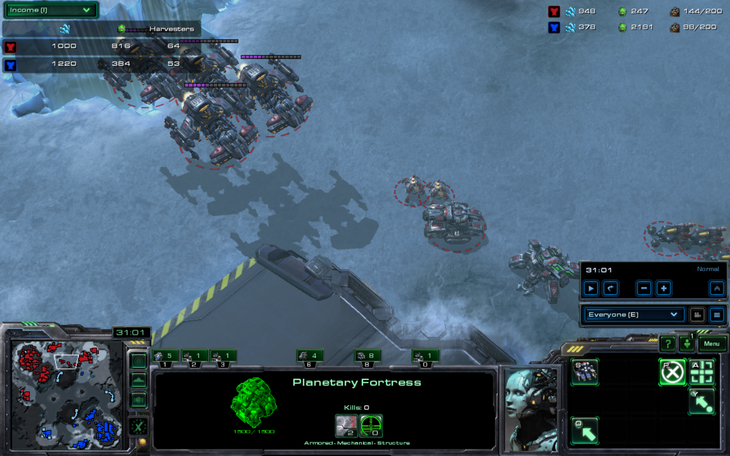 The opponent did a quick stalker pressure after fast expanding and I mis-controlled completely, losing all of my marines and effectively the game. Reminder that Thors are not good emergency units when faced with stalkers. 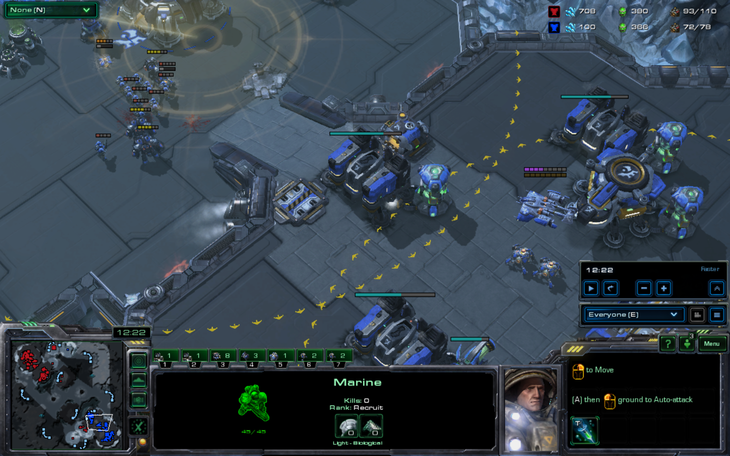 After that slightly traumatic experience, and reminding myself how insignificant that game was to the general outcome of the universe, I queued up into a second and third game as protoss. 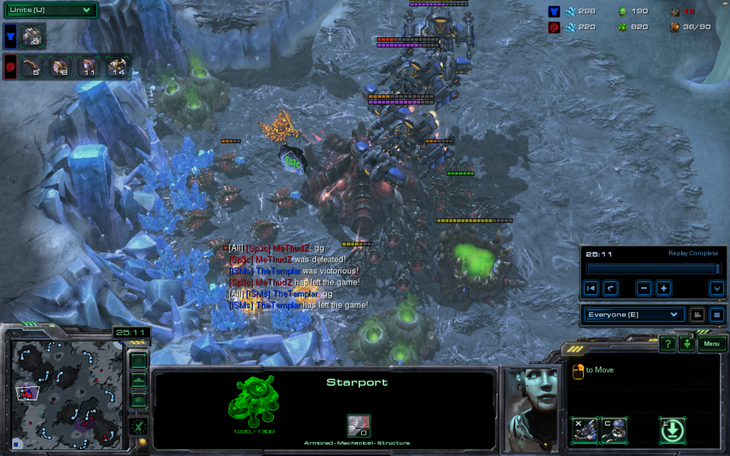 The opponents, a terran followed by a zerg, had similar stories to tell. Both of them sought an advantage through the early game, but did not have the means to do so. 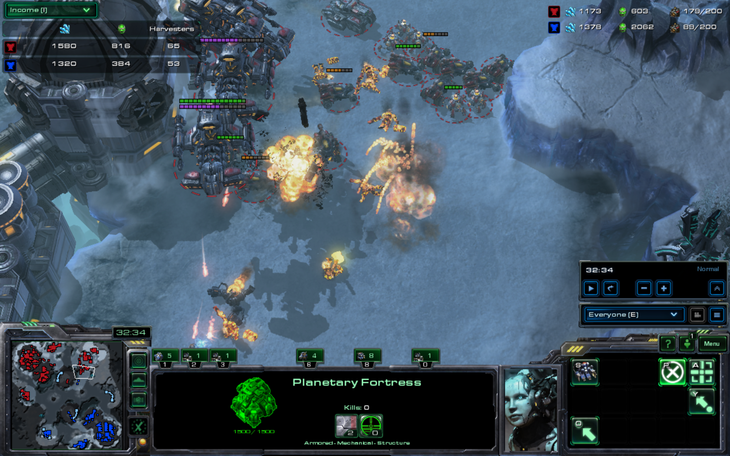 The terran applied pressure with marines and marauders, and the zerg tried a few zergling runbys. Here, their paths momentarily diverged. 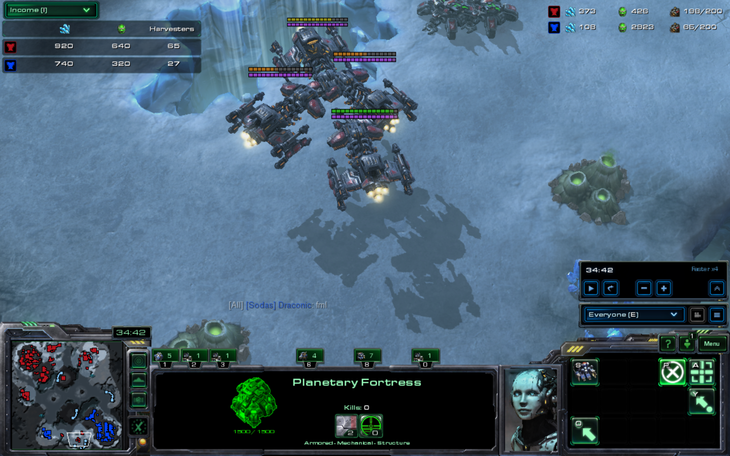 The terran stayed on one base and went for the frontal attack, engaging my units, but his heavy investment failed. 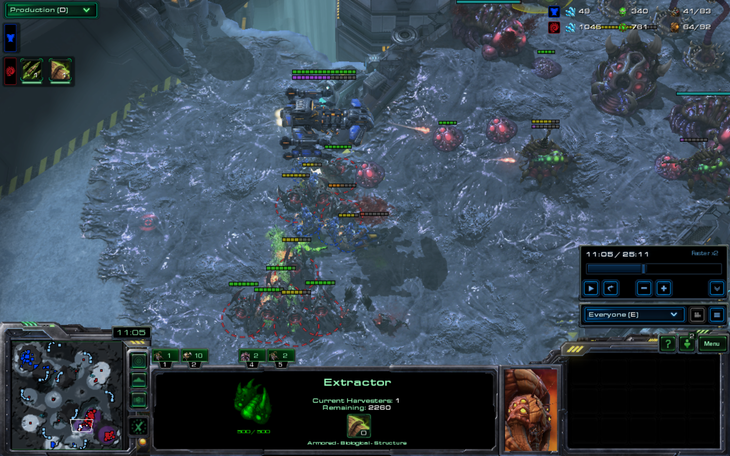 The zerg refused to engage my army with his moderately large number of zerglings but went for workers instead, while offensively taking my third base (as he wasn't keeping my entire army occupied, I killed it pretty quickly). 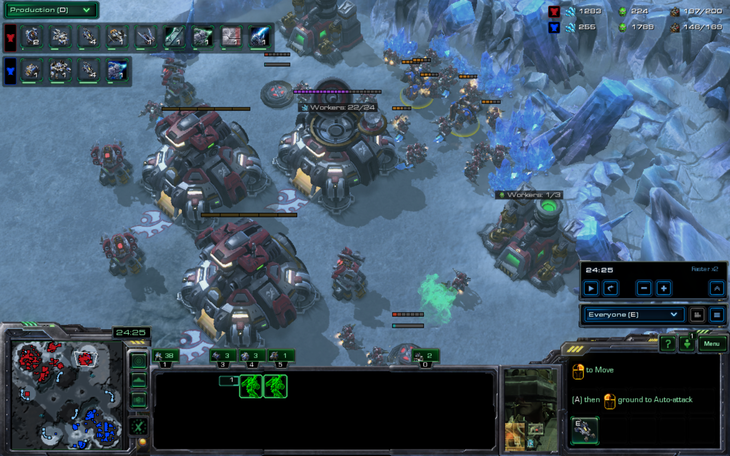 Neither attack worked, and I saw them devolve into the normal terrans and zergs I see. 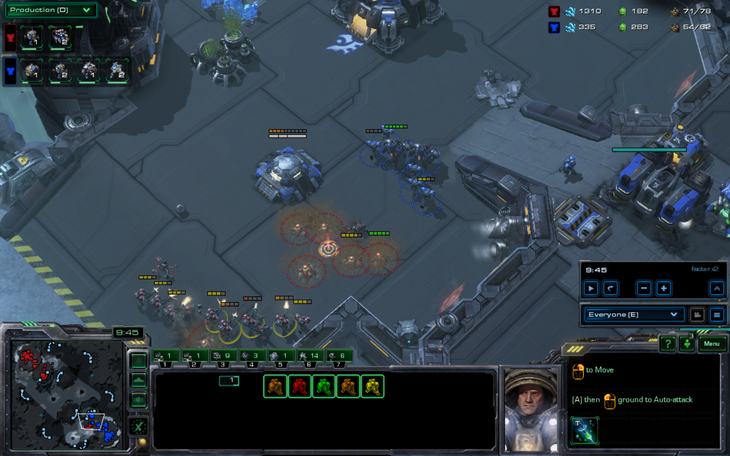 Both players went for basic tech only, MM and Roach/Hydra. Neither, of course, realized that tech was sometimes as important as maintaining an army, and did not make the required ghosts/medivacs and vipers to defeat my Templar and Colossus armies. Both fell and both complained about the balance, despite my clear advantage in skill. This last part bugs me. Why would anyone complain about the balance in a ladder game, where nobody else will ever see it? 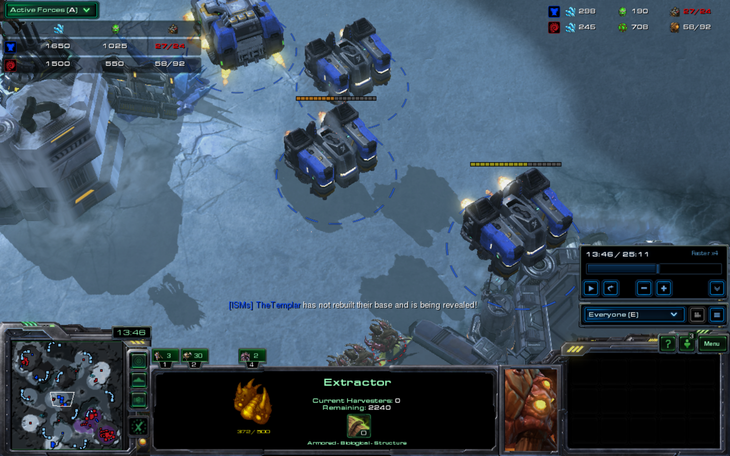 Worse yet, these are matches between two gold league players, where balance is completely unimportant and irrelevant. Why, then, would anyone complain about balance? This is a (social, multiplayer) game, after all. While I can understand venting about real-life stuff, nobody really deserves to complain about the game's design except those making a living from it. I don't know what to think. Is the game going to be fun for anyone that cares about balance? Winning isn't important. Improving is. I constantly ask myself, where can I improve. And then I make a battle report out of it. 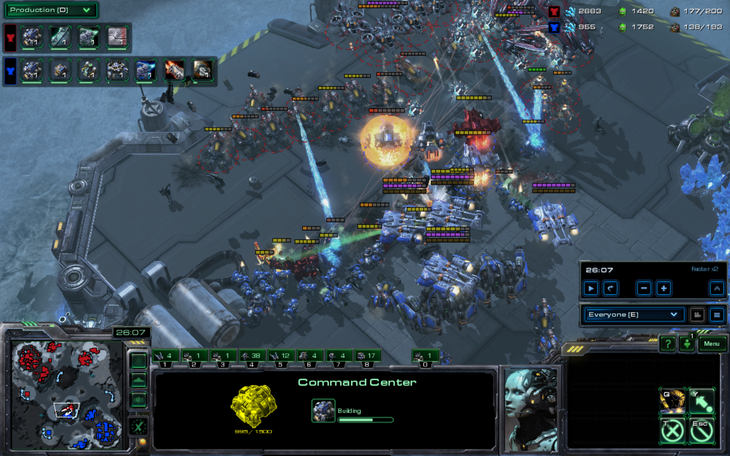 In the past, I have written battle reports on the most unusual PvP, the most usual ZvZ, the high-tech cheese of terran, the low-tech macro of PvZ, and the tactics of spamming one unit composition in a TvT. What did all of these have in common? The answer is passion. I don't care about balance in any of those games. And nobody should; all of those games are either quite unusual or a mirror. 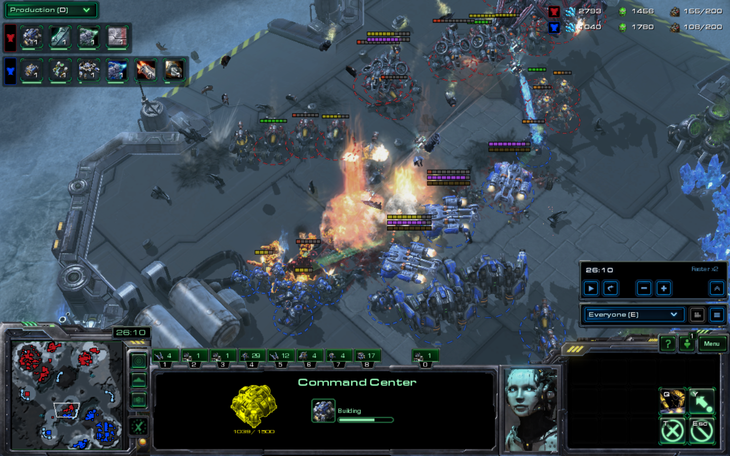 But those games reminded me of what it meant to play sc2 and enjoy it. 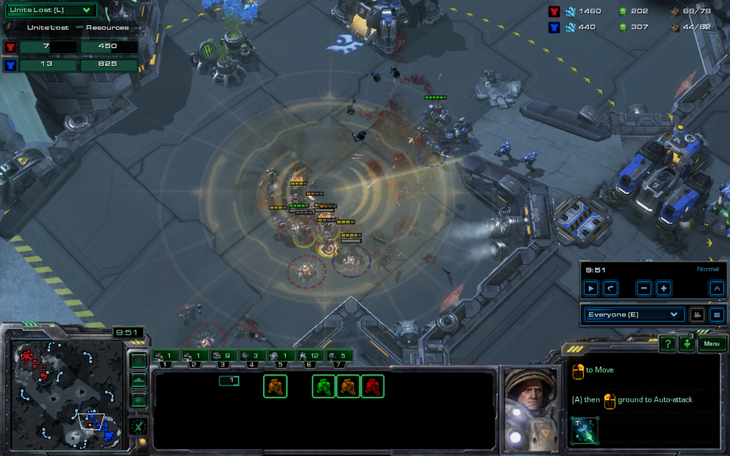 Enjoying sc2 makes it a lot easier to sort out the problems I had in my previous games and to improve on my own terms. 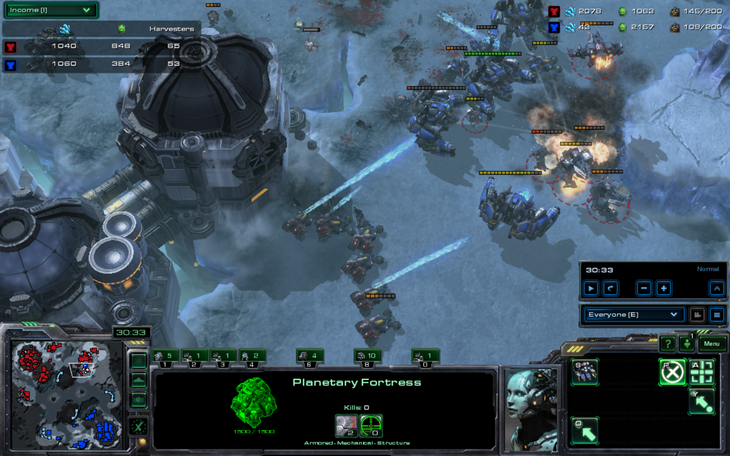 So what if I did enjoy sc2, just a little? Instead of aimlessly browsing TL like I usually did after playing 3 games, I loaded up another game, this time as terran. Instead of fast expanding and playing a macro game as I usually did, I proxied a stargate. 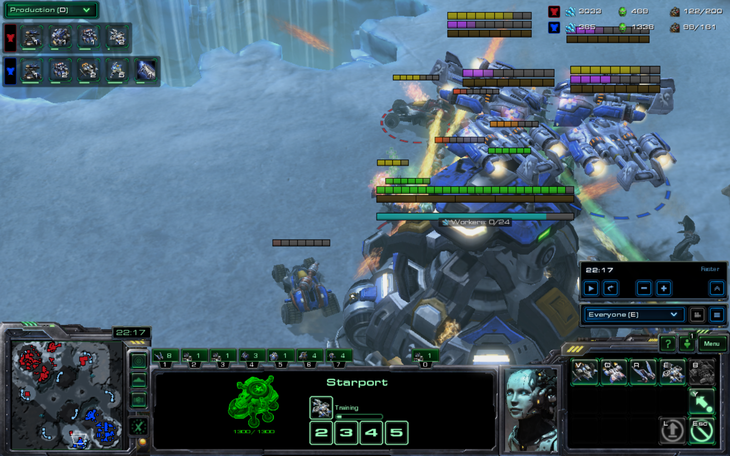 A battlecruiser almost immediately won me the game against the zerg opponent. Basically, I played this game, although my execution was a lot cleaner. My opponent, contrary to the other two I had beaten, was not angry, or sad. He remarked about how unusual it was to BC rush. 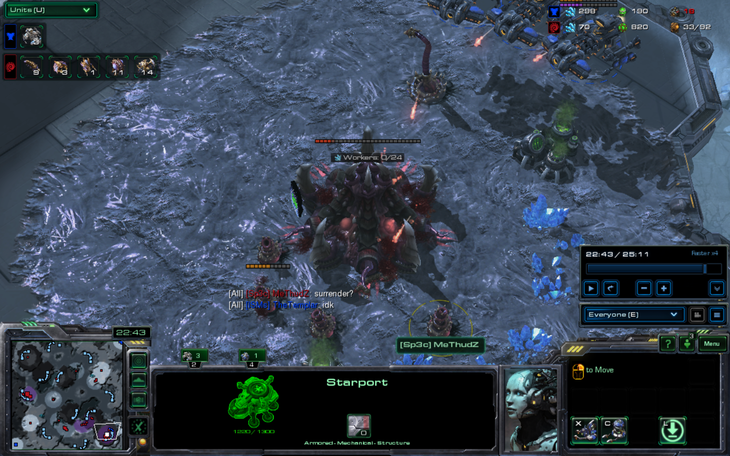 Encouraged by this reaction, I queued up another game and did the same thing, again against a zerg player. 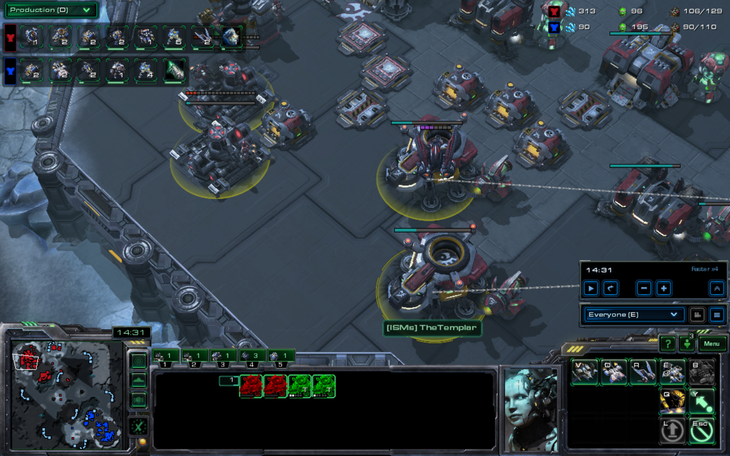 He was so stunned that he typed "proxy battlecruiser!!" in chat and barely reacted at all. The victory didn't matter, but seeing something like that come out legitimately from his opponent was fun and exciting. He was similarly enthusiastic and we had a nice conversation after the game. 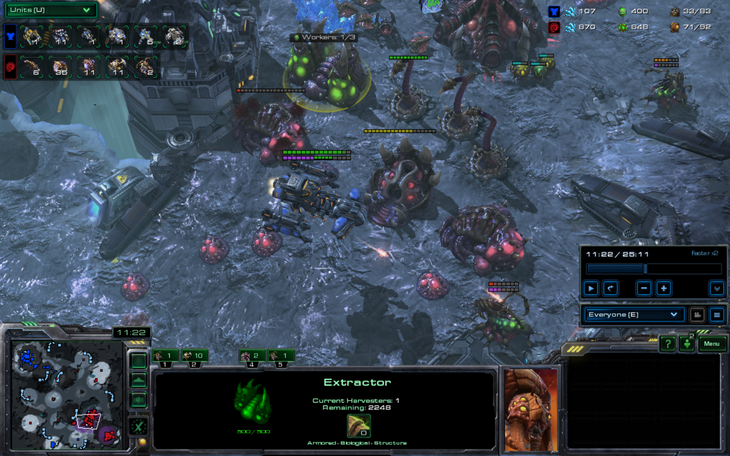 I played another game and faced another zerg. Another BC rush ensued. This one turned out a bit differently. Spoiler alert: I won this game. After this very unusual game, I chatted for a long time with the first guy that I BC rushed. It turns out he had the same purpose, to have fun. 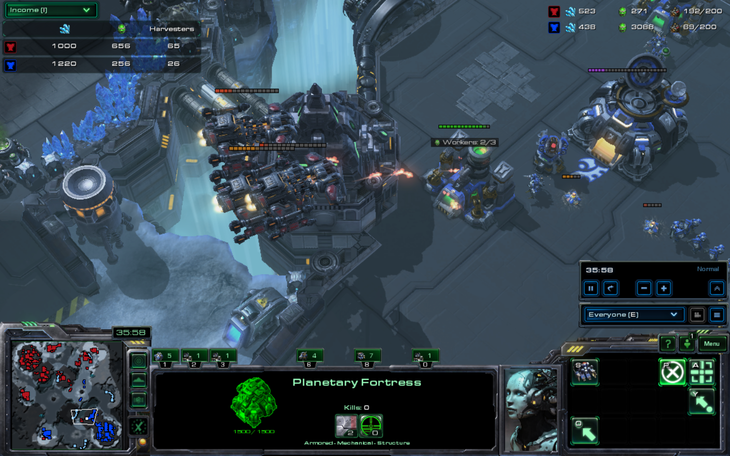 We discussed many things relevant to the ladder and how people approached it, Avilo (turns out a lot of his games on ladder are under 30 minutes), and terran cheese. We decided that we would approach the ladder with a fun mindset. 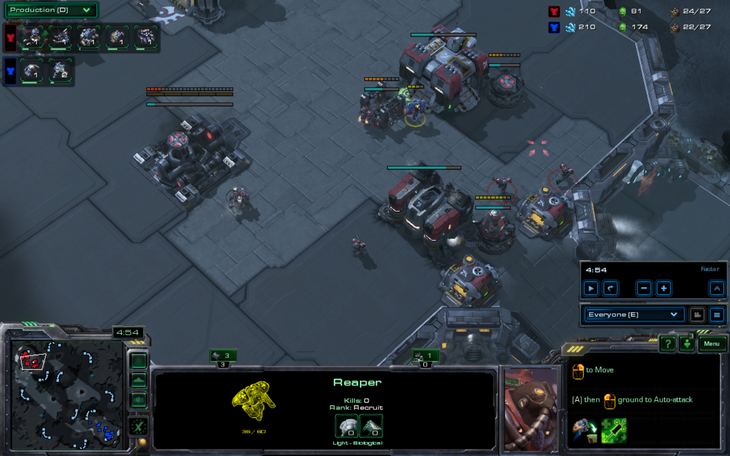 As a zerg, he always wondered how mass reapers would fare against a zerg player who didn't see it coming. And I wanted to keep BC rushing, as it was becoming that sort of night. Neither of us realized that the consequences of both of us going onto the ladder to cheese… is that we might meet each other. I spawned in the top left of King Sejong Station and he found himself in the bottom right. 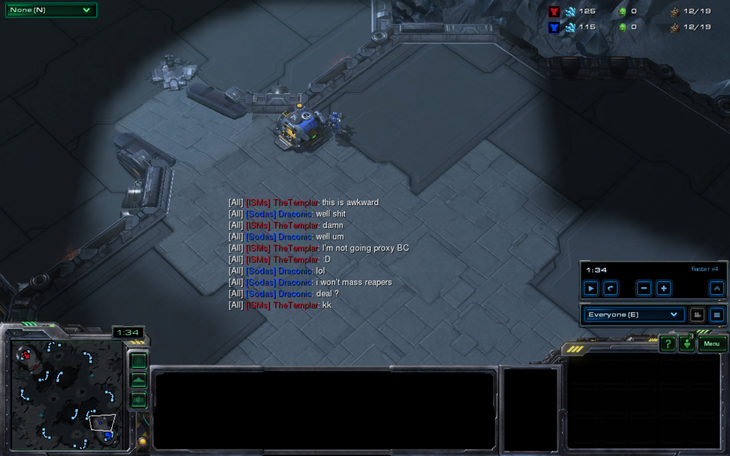 Right after my opponent typed gl hf, I sent him a private message saying "Darn, he's terran." Then I realized that I had just sent it to my opponent! We quickly discover that we accidentally crashed into each other on the way out the door. 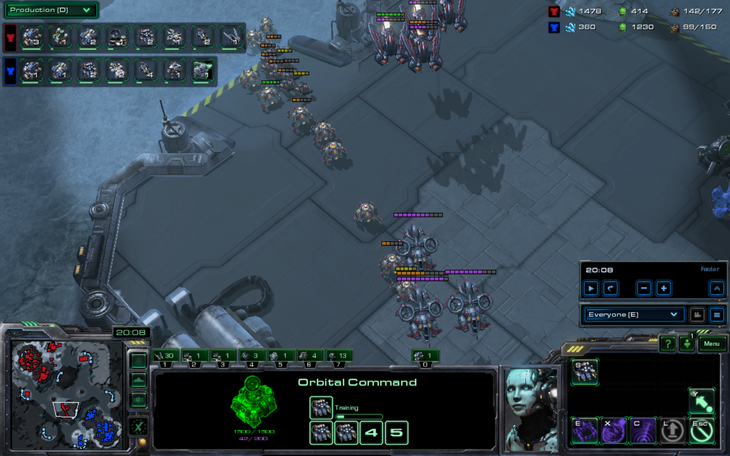 Neither of us are terran players so this could get very messy. Since the cheese we had planned relies mostly on surprise, we had a gentleman's agreement to not use those strategies. He does make one reaper at the beginning, and it receives its just reward. One reaper is a mass when it collapses onto the ground. It did scout my barracks and factory though. However, my true intentions were not yet revealed. Minesweeper IS one of my favorite games, how did you know? 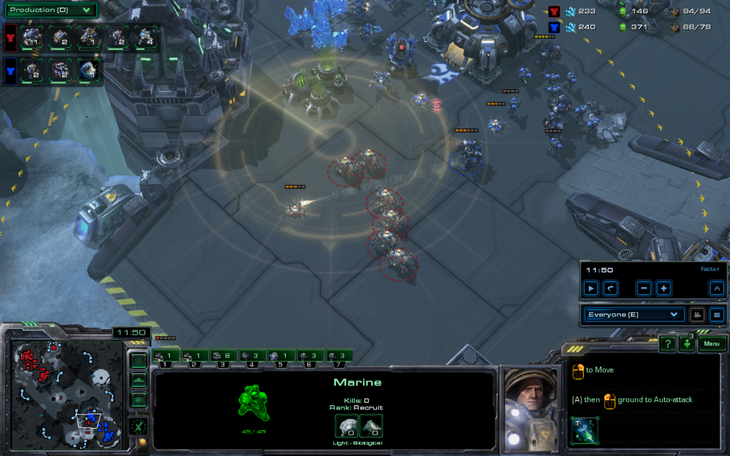 Soon, I go for the marine/widow mine attack off two bases. A furious battle ensues and he already has to micro for his life. 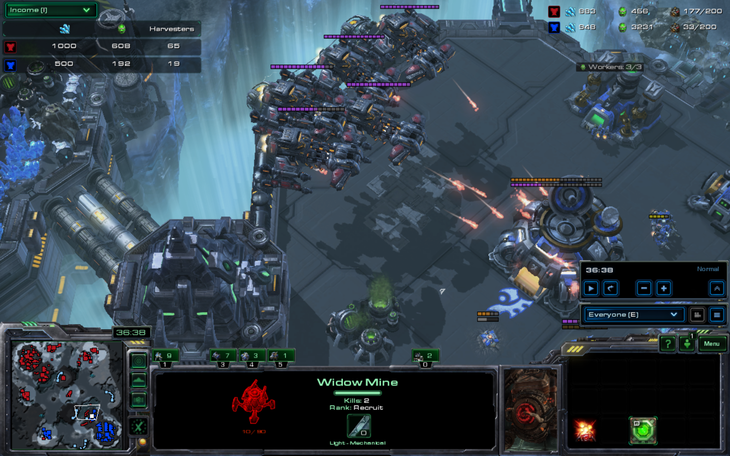 I should explain here that widow mine versus widow mine strategies are the pinnacle of positional play. 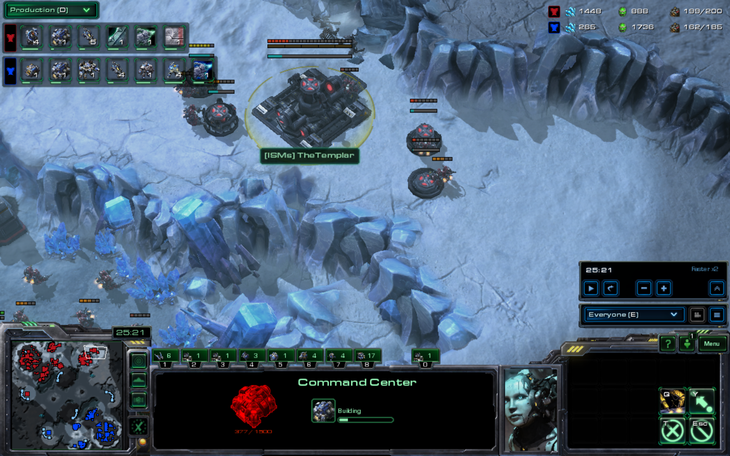 Similarly to siege tanks, they have massive AOE which take a while to set up. However, they are dodgeable and are invisible. This means there is more positioning, scans, similarly to tank wars. 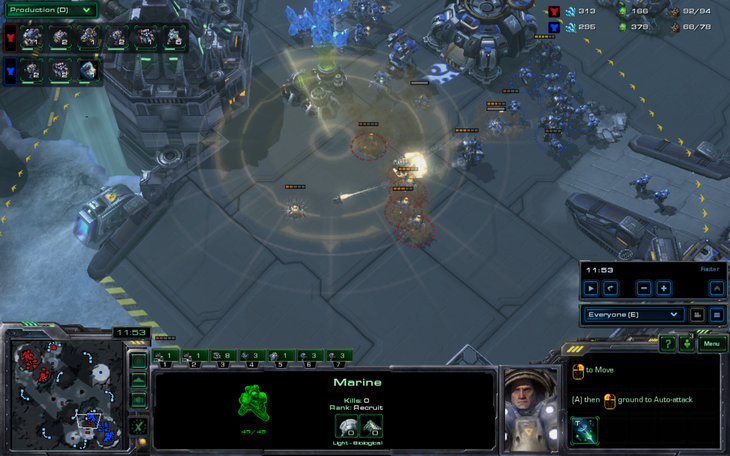 In fact, he realizes this and gets some widow mines as defense. Imagine, here, a chess board. Except there are only pawns and knights. 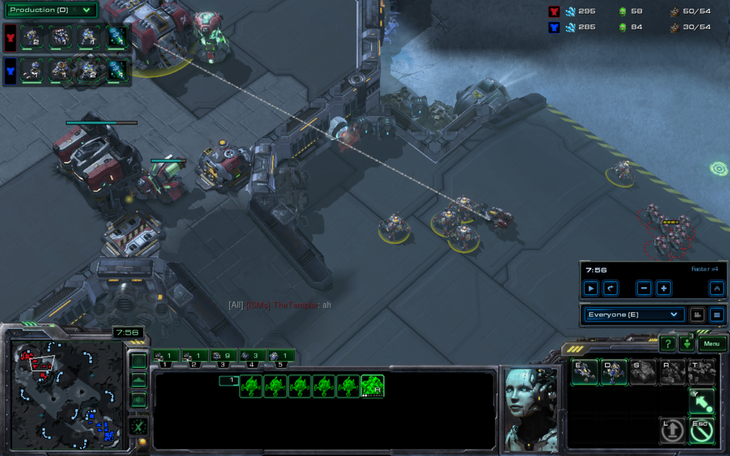 In the above pictures, the opponent goes for a widow mine drop while pushing back my widow mines with bio and widow mines. And there was much rejoicing. 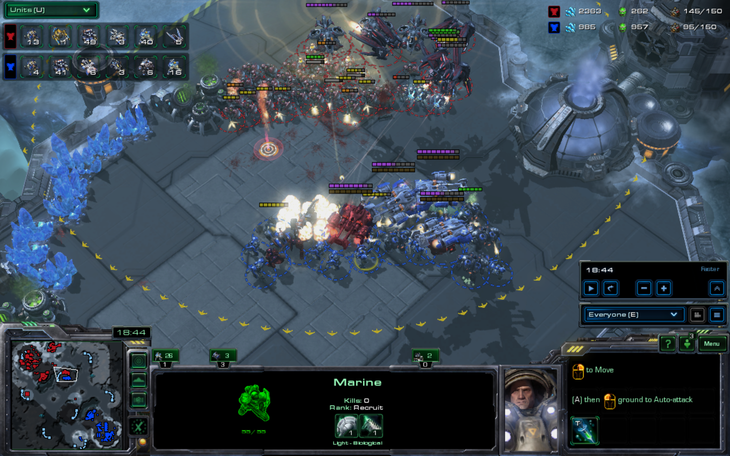 Seeing that mines would not win the game for me, I went with the one unit that goes really well with mineral-heavy builds. I bet you thought it was tanks. 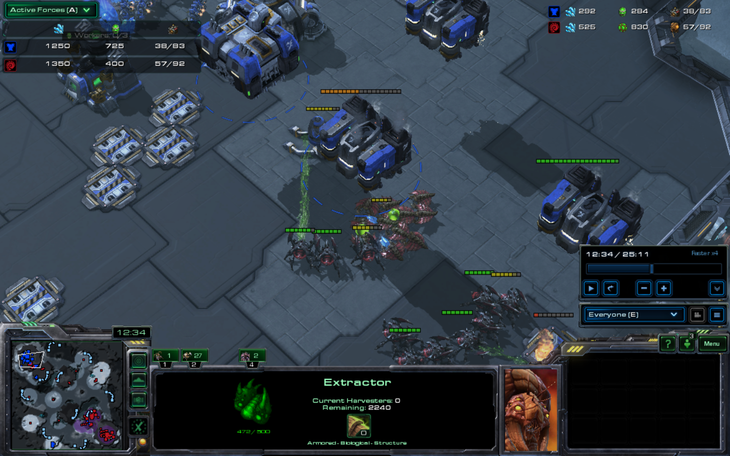 Not to be outdone, my opponent goes for a massive doom drop! 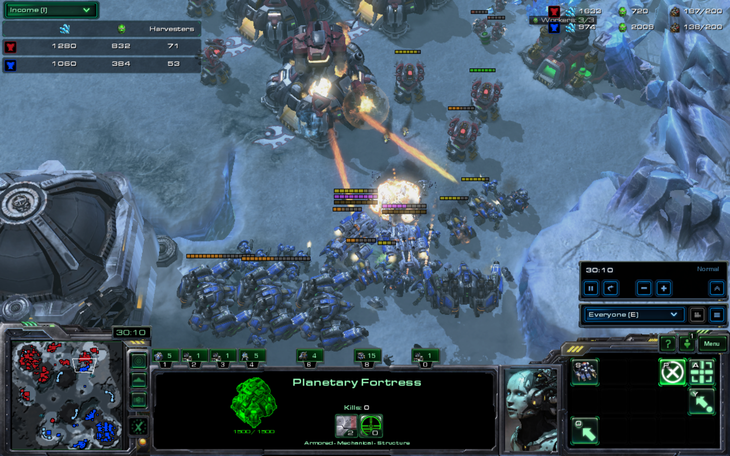 …And, unfortunately, I only had turrets on one side of my base. The medivacs go to eat the open-faced Terran sandwich. I did, however, have one ace up my sleeve which would be very difficult to counter. 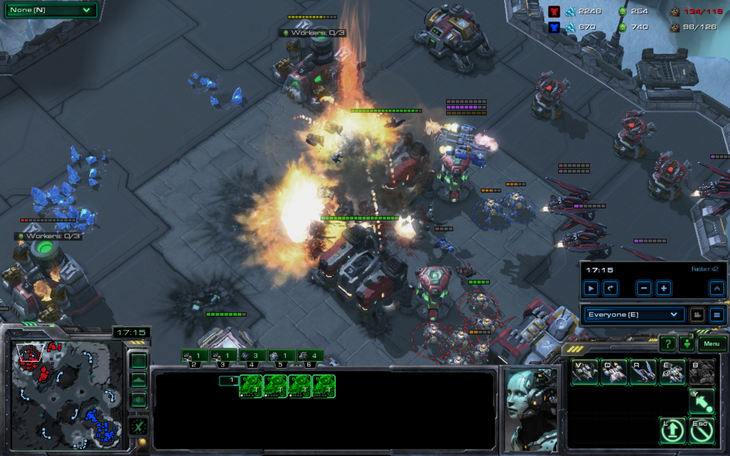 As he is a Zerg player, you think he'd be used to giant explosions against Terran. 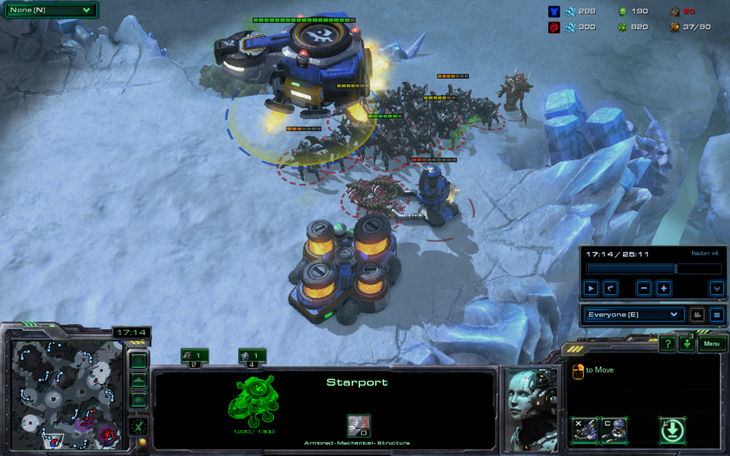 The second battle of the game happened a minute or so later, right after he lost a ton of units to seeker missiles. Against his much more normal one. I land seeker missiles which should instantly win the game in any normal scenario. 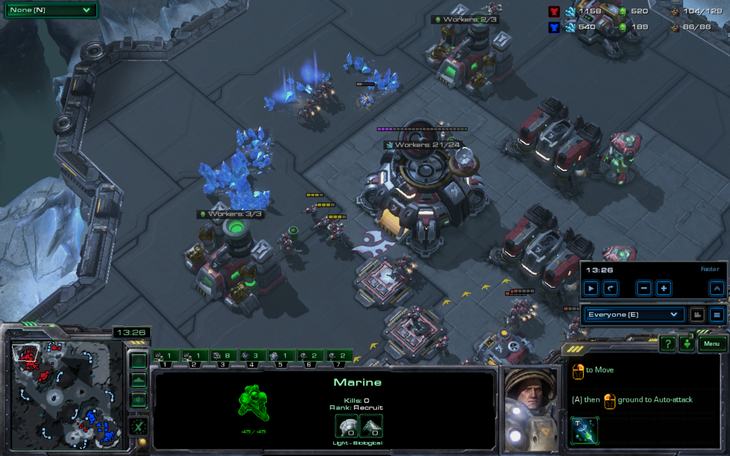 However, in a rare instance of standard play, I brought my marines closer to his to minimize splash damage and prevent an easy retreat… and seeker missiles kill nearly all of them. It was a terrible battle. And by terrible I mean the many noble lives that were lost. I in no way mean the bad micro I showed. After the battle, I regroup and go for an attack. 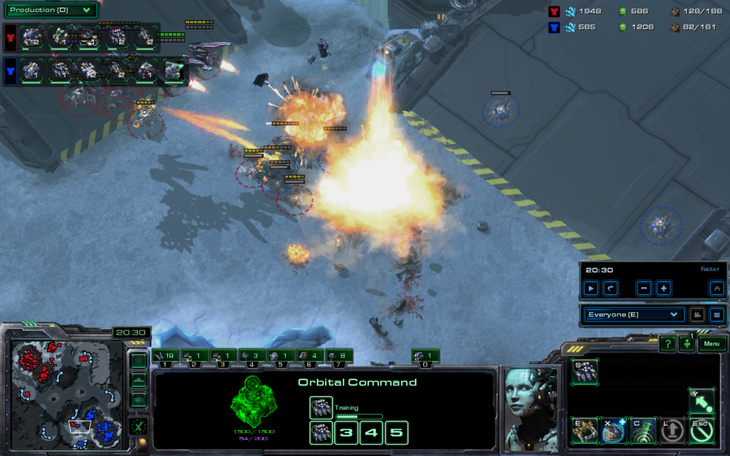 The usual seeker missiles obliterate everything. You would think I would have won with the number of game-ending seekers I have landed. Long story short, I somehow lose nearly my entire army and retreat. I build up my air army while attempting to harass with hellions. No Templar, you are supposed to harass workers! Not units! I suddenly realize that I should be upgrading, and I go for the 23 minute double armory build. Once again, a tiny hole in my defenses allows easy harass from my opponent. I patch up the hole, in my own way. Because more PFs is cool. I chase him back to his natural expansion where he has enough thors to engage my army without too much fear of seeker missiles. Unfortunately, since my ravens are clumped up, he gets massive shots on them and manages to clean up my entire army. The retaliation from him is massive. Hellions, ravens, and banshees are not particularly great counters against thors, nor are PFs. However, with a hellion flank and landed vikings, I actually manage to push him back, killing everything but two thors and allowing time for my BCs to get there. My opponent was not happy with losing his third base. 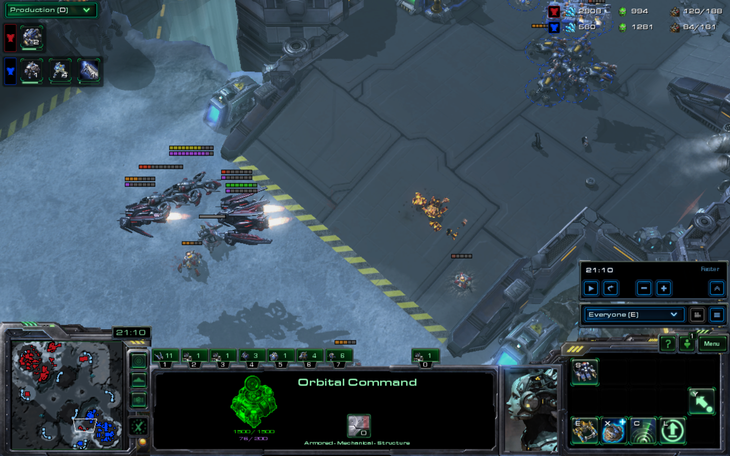 My battlecruisers get into his natural, and with reinforcements, execute swift justice. He goes on for another ten minutes, hiding buildings, but eventually leaves. After I won the BC base trade game, I literally jumped up, shouted "YES! ", spraying spit onto my computer, and did a little dance. It was epic. That wouldn't work, I expect my allies to play well in 2v2. It's serious business for me. then what about queuing together in random 4v4?